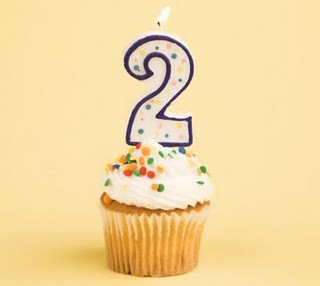 Today marks two years in the “life” of 321delish! Yay! I remember the first post Chloe and I wrote- it took us HOURS to get it just right. I look back on it now and chuckle 🙂 Who would have thought that 321 would still be chugging along 2 years later? It’s been a fun ride so far; thanks to all of you for still reading! I’ve made many friends through the blog and have had some pretty cool experiences that I’ve been able to document and share with you all. It’s been a great 2 years; here’s to many more! Congrats on your blogiversary and here’s to many more! Congrats on 2 years, Steph! That’s so exciting! I’m not a scrapbooker, and have fallen away from journaling regularly…so the blog is a great way to keep track of my projects and happenings. It also keeps me outta trouble. Ha ha!